Sir Charles is a cafe located at 121 Johnston St, Fitzroy, just up from the corner of Brunswick Street. They are currently open for breakfast and lunch only, however they are planning to hold monthly dinner events with fixed menus. We were lucky enough to be invited to their preview dinner event. Their first course was roasted baby beets, toasted walnuts, goats cheese snow and crustini. 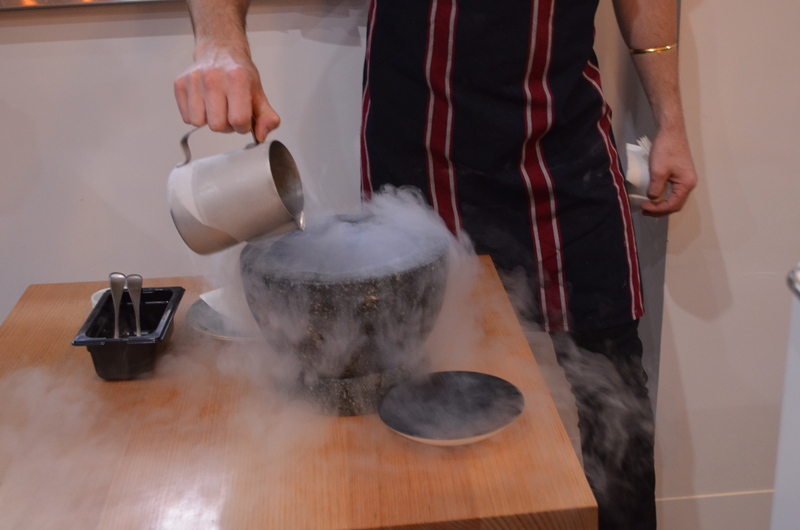 This was the first course to use liquid nitrogen on the menu, snap freezing the goats cheese at our tables. This was a sweet start to our meal, with the goats cheese snow remaining light and cool against the sweetness of the warm beets. The second course was pan seared local scallops with compressed kholrabi, sesame crusted asparagus, truffle shaved asparagus, citrus dressing and rye crumb. Due to an allergy I swapped the scallops for snapper. The snapper/scallop was a light touch, allowing the rest of the ingredients to shine through. 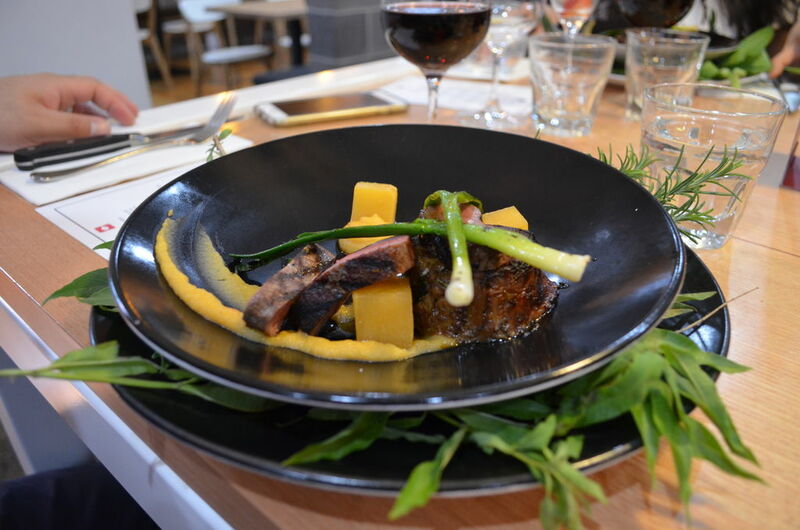 The main, and definite star of the meal, was pan-roasted lamb backstrap with confit lamb shoulder, miso swede cubes, charred baby leeks and anise madera jus. The lamb just about melted in our mouths, and was a welcome heavier option to the previous light starts. The desserts, yuzu and lemon tart followed by açai sorbet with chilli, were interesting affairs. The chilli was snap frozen before being sprinkled over the sorbet and cacao, and while I’m not normally a fan of hot and sweet being mixed together in my desserts, the process meant there was just enough heat without overwhelming the sweetness of the other ingredients. The food was great, the presentation was superb and we can only predict great things as they move into more regular dinners. 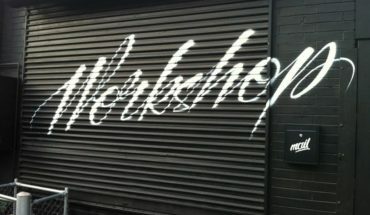 Sir Charles is located at 121 Johnston St, Fitzroy and is open until 4pm every day.